Whether you’re cooking for the family, rustling up a quick and healthy meal for one, or a professional chef in a commercial kitchen, you can rely on Thermomix ® to help you cook smarter. 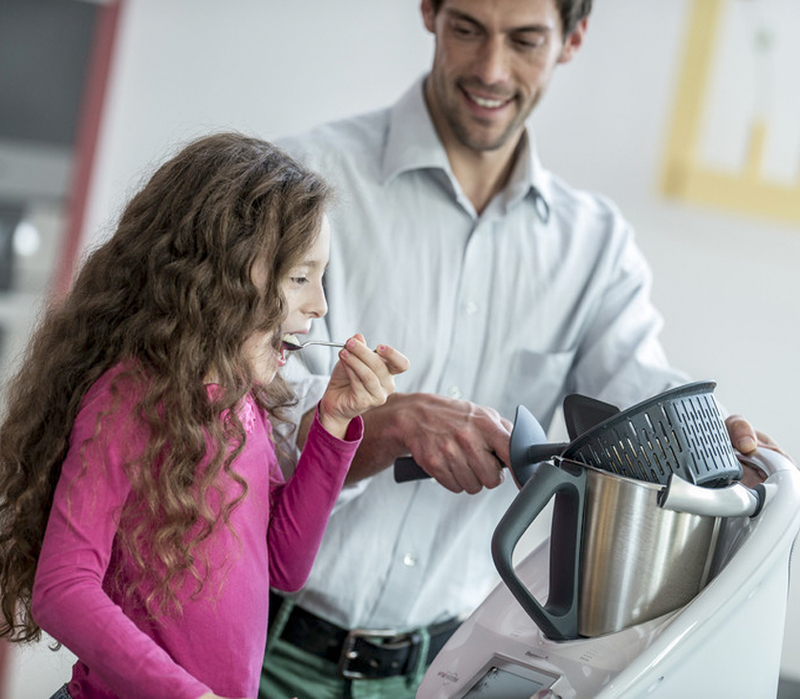 Doesn´t matter if you are a home cook, have a family to feed or lead a busy life, Thermomix ® is perfect for you. Professional chefs have also found Thermomix ® a trusted partner in their kitchens. Thermomix ® takes the effort out of preparing tasty and healthy meals, making it easy to deliver perfect results. Whatever your skill levels – whether you’re trying to make everyday dishes faster and more easily or pushing the boundaries of what’s possible in the world of food, Thermomix ® will help you to explore your potential and broaden your cooking horizons. Whether your family is big or small, young or old, there is always so much going on it can be a struggle to make time to prepare healthy home-cooked meals. 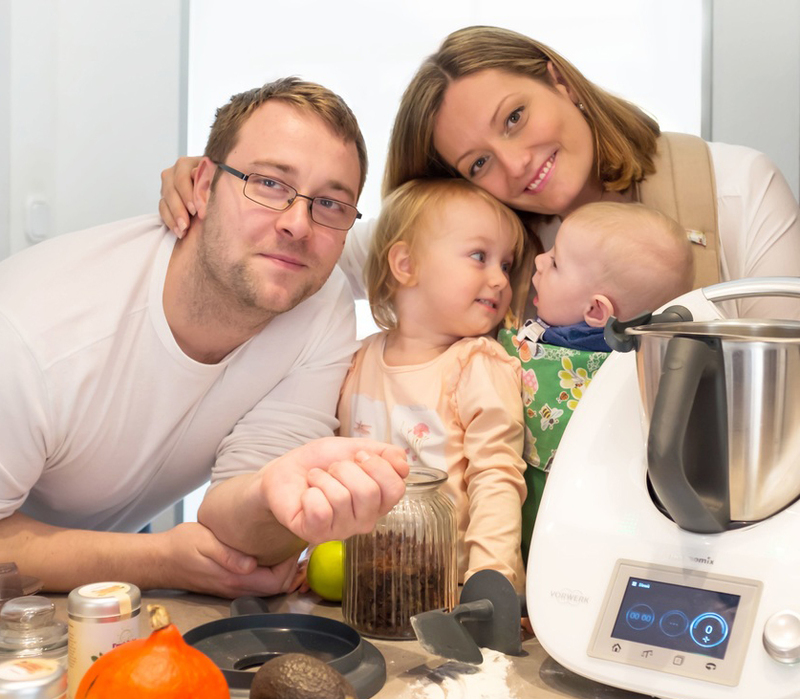 This is why Thermomix ® is a lifesaver for busy parents who want to bring the love of food back into their home. Thermomix ® provides intelligent cooking for a better life, but don’t just take our word for it. Millions of satisfied customers around the world know that Thermomix ® is the future of cooking. Join this growing community in experiencing the difference! It is time to say goodbye to expensive ready-made meals and start preparing fresh, tasty and healthy meals that your family will love. Even if you are a novice cook, Thermomix ® will inspire you to expand your cooking repertoire and take control of the kitchen like a skilled chef. With our innovative Guided Cooking feature, it’s never been easier to cook amazing food – success is guaranteed! Thermomix’s ® approved recipes make it easier to explore a huge range of dishes, breaking even sophisticated recipes down into the simplest of steps that can be easily followed and will lead to great results. With the full colour touchscreen, Thermomix ® now makes it even simpler with Guided Cooking. This unique feature takes you step by step through a recipe and even sets the timer and temperature. Just follow the steps and add the ingredients. Thermomix ® even helps you get the settings right, and will guide you step by step in the recipe without needing to know how to cook. With hectic social lives and demanding careers, it can be hard to make time for the finer things in life like great food. Or at least it would be without a Thermomix ®, which lets you live out your foodie ambitions to the full even when time is short. It’s time to ditch the takeaway menus and realise what you can achieve. Thermomix’s ® approved recipes make it easier to explore a huge range of dishes, breaking down even sophisticated recipes into the simplest of steps that are easy to follow so you achieve great results in the least amount of time. With its full colour touchscreen, Thermomix ® offers Guided Cooking, which takes you step by step through a recipe and even sets the timer and temperature. Just follow the steps and add the ingredients. Thermomix ® even helps you get the settings right.With less to worry about, you can create tasty and healthy meals from scratch while making more time for everything else on your to-do list. Compact, versatile and built with long-lasting Vorwerk quality to take on even the most demanding kitchen. 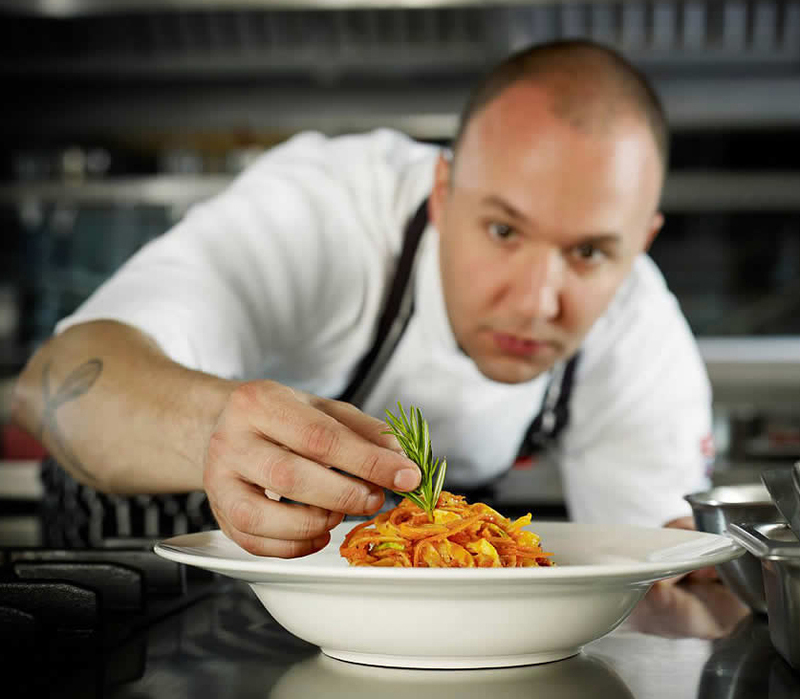 Find out why top chefs love Thermomix ®. In addition to being treasured by home cooks around the world, Thermomix ® is also becoming a workhorse in professional kitchens, with celebrity chefs such as Michel Roux and Heston Blumenthal praising its versatility and practicality. Constructed around a maintenance-free, precision engineered 500W motor that is built to last, Thermomix ® offers precise control over speed, temperatures and cooking times to ensure perfect, consistent results time and time again. The ability to set the Thermomix ® to automatically perform even delicate tasks such as preparing a risotto, cooking crème anglaise or tempering chocolate is an invaluable timesaver. It’s like having an extra pair of hands in your kitchen! 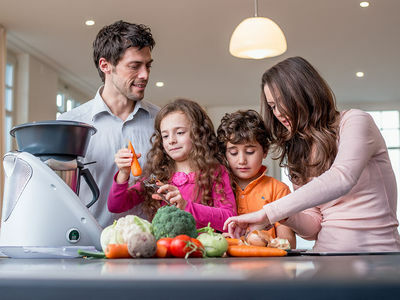 Thermomix ® combines smart technology with the highest quality of German engineering and is constructed from durable materials that can take on the challenges of hard daily use.